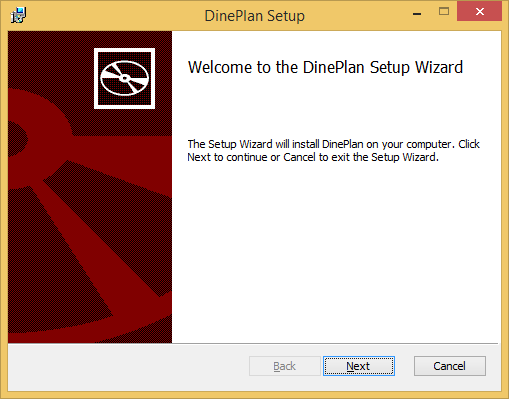 We have a default Login User name and Password for SQL Server and we have default admin password for DinePlan. 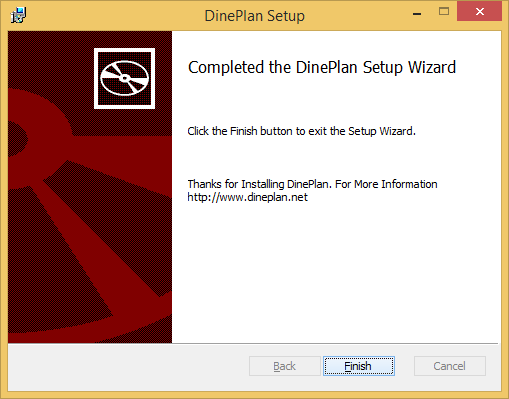 Here are the Steps to be done for the Dineplan Installation. 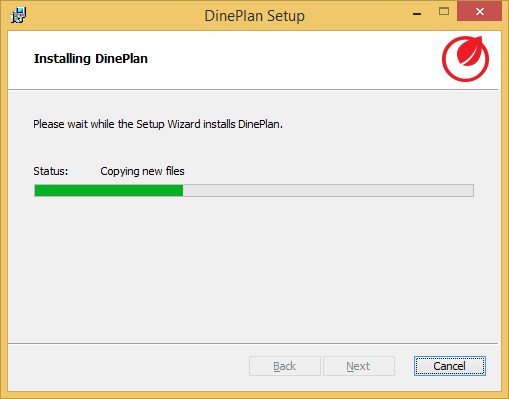 STEP 1: Execute the install file (H:\DinePlan Installer or saved DinePlan Setup file). STEP 2: If you receive a Security warning, this is normal and is due to your Internet Security Zone settings. 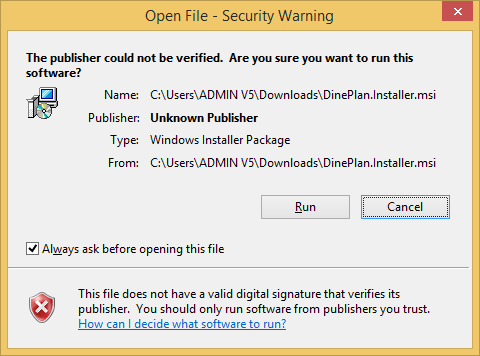 Our installer is not digitally signed so this warning may be displayed. Click ‘Run’. STEP 3: Click ‘Next’ on the initial welcome screen. STEP 5: Click ‘Next’ to confirm you are ready to begin the installation process. STEP 6: Wait while the installation is in progress. STEP 7: Install Complete! Click ‘Finish’ to exit the installation. 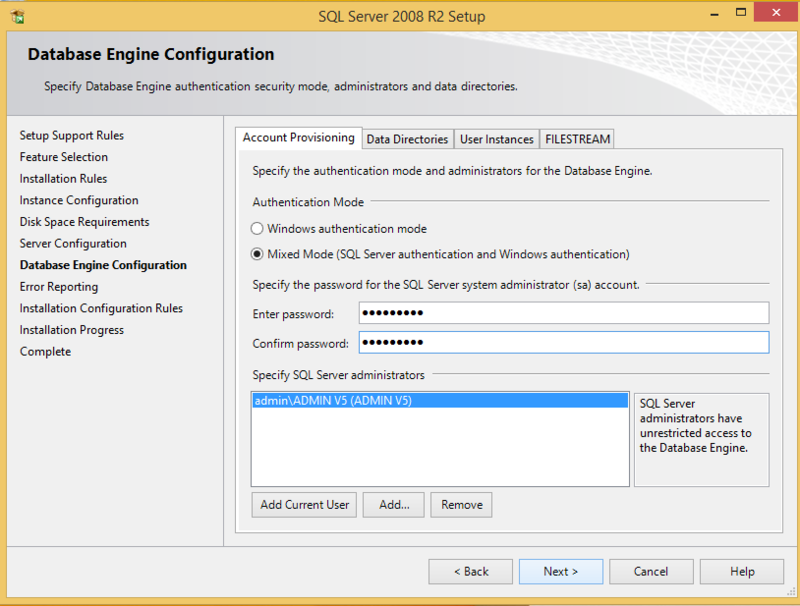 Note: See below for instruction on installing the SQL Server database software. 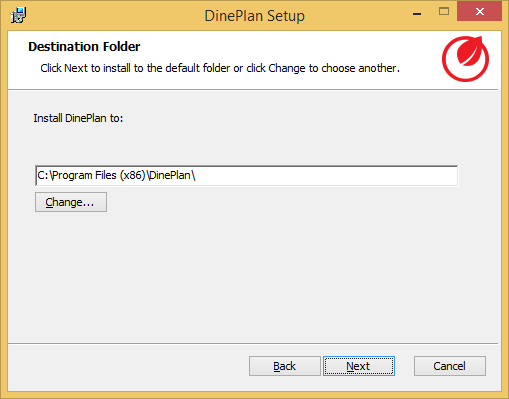 SQL Server is used to store and manage the data used by DinePlan. Before installating the SQL Express, please make sure that the system is 64 BIT or 32 BIT. The respective installer has to be downloaded from the Repository. 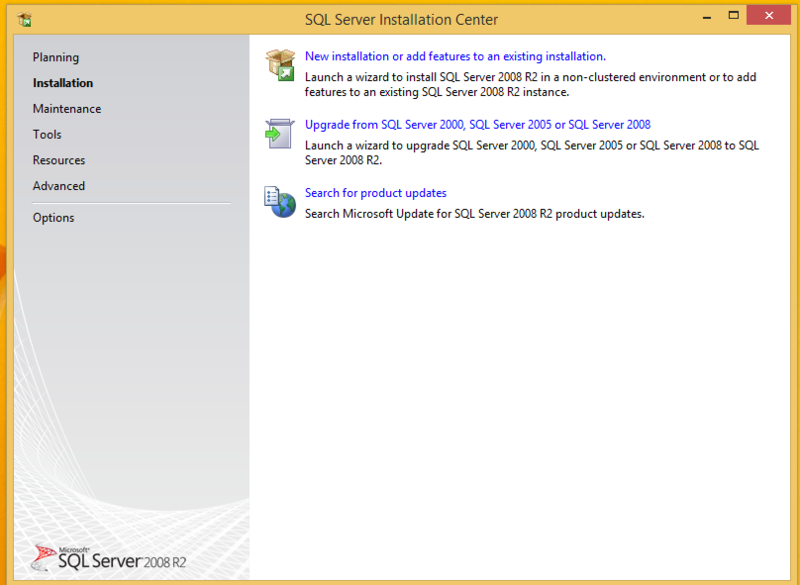 Here are the steps to be done for the Installing of SQL Server. STEP 1: Execute the install file. 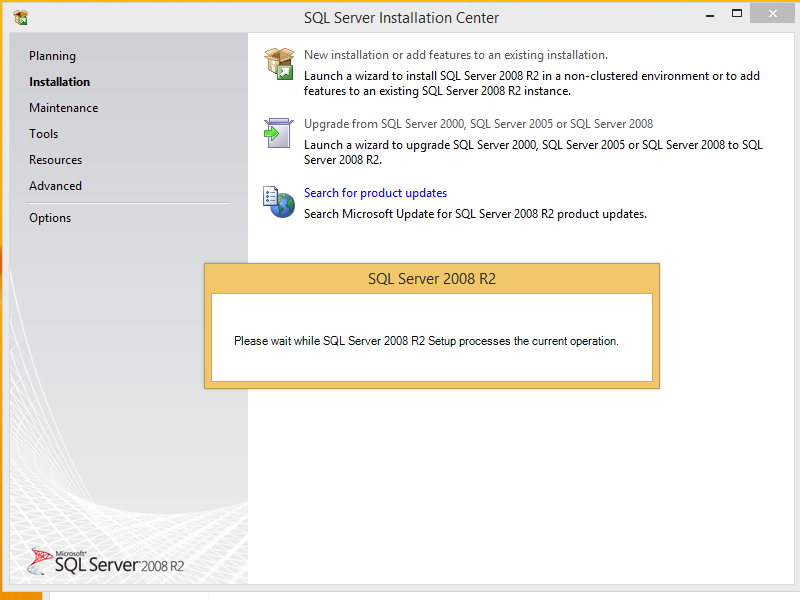 STEP 3: The needed files will be extracted to a temporary install folder and the SQL Server Installation Center will be displayed (this may take a minute or so). 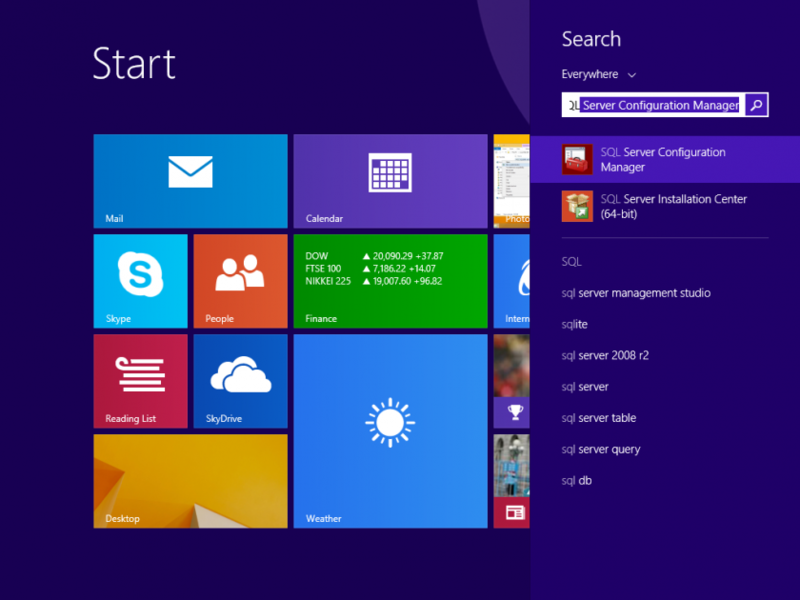 STEP 4: Click ‘New installation or add features to an existing installation’. STEP 5: Select ‘New Installation or add shared features’. Click ‘Next’. 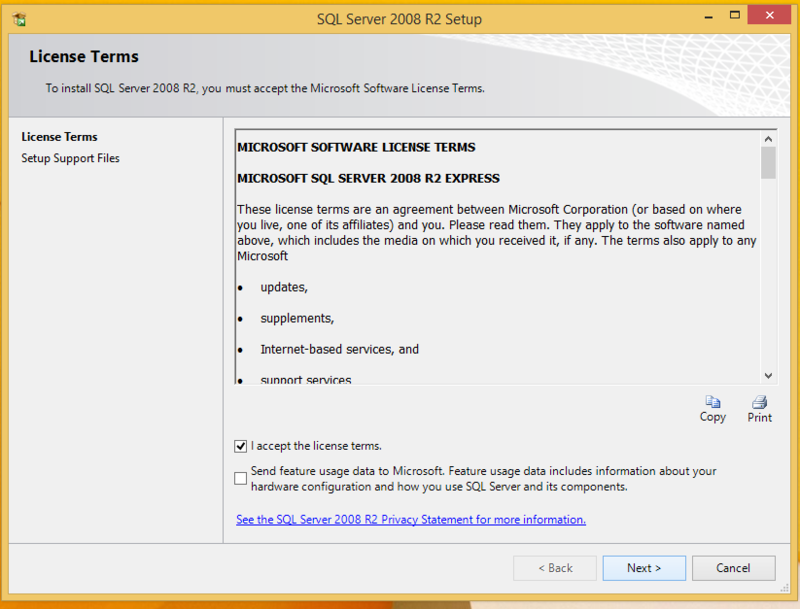 STEP 6: If you agree with the license terms, check the ‘I accept the license terms’ box and click ‘Next’. STEP 8: Select the ‘Default instance' and Click ‘Next’. Screen to the right and Click ‘Next’. STEP 10: Ensure all ‘Startup Types’ are set to ‘Default’ and click 'Next'. STEP 11: Selecting Mixed Mode and Entering a secure password. We recommend using “ahghbfgfc" and click 'Next'. 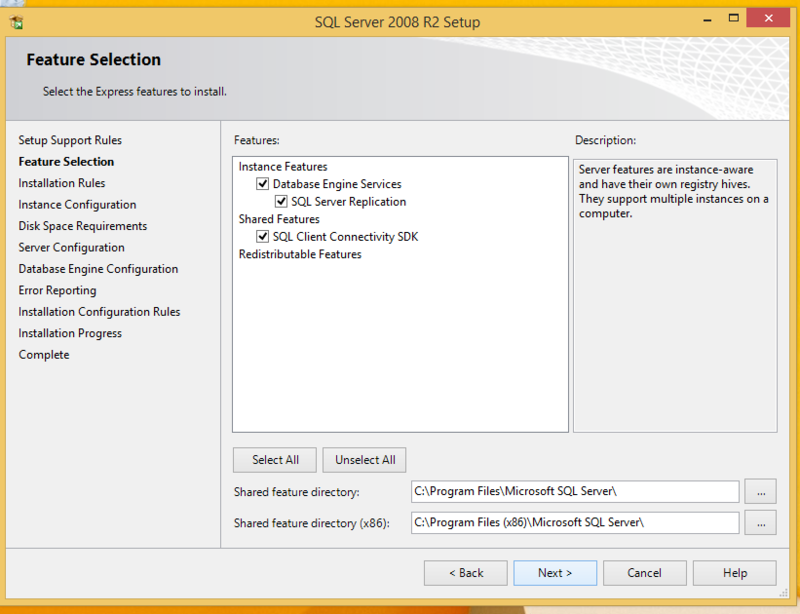 Note: The Installation Configuration Rules screen will not be shown, unless there are issues. If there are issues, review and continue, if applicable. STEP 12: The install progress will be displayed. When complete, click ‘Close’ on the final screen. 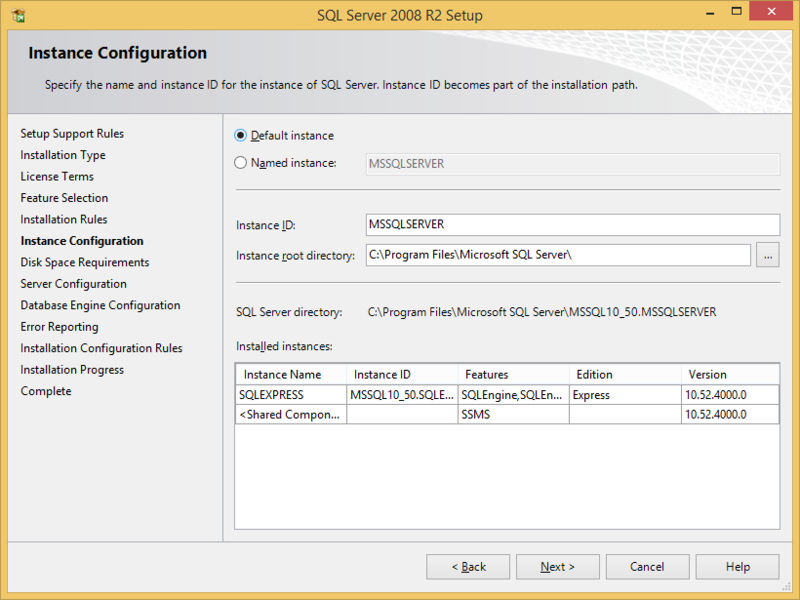 STEP 13: Close the initial startup SQL Server Installation Center screen. Here are the steps to be done. 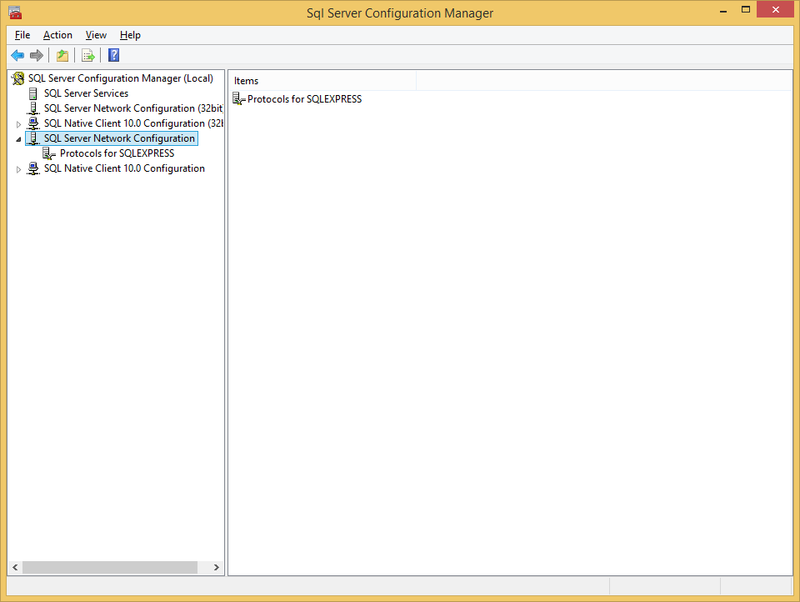 STEP 2: Click the SQL Server Configuration Manager (Local). 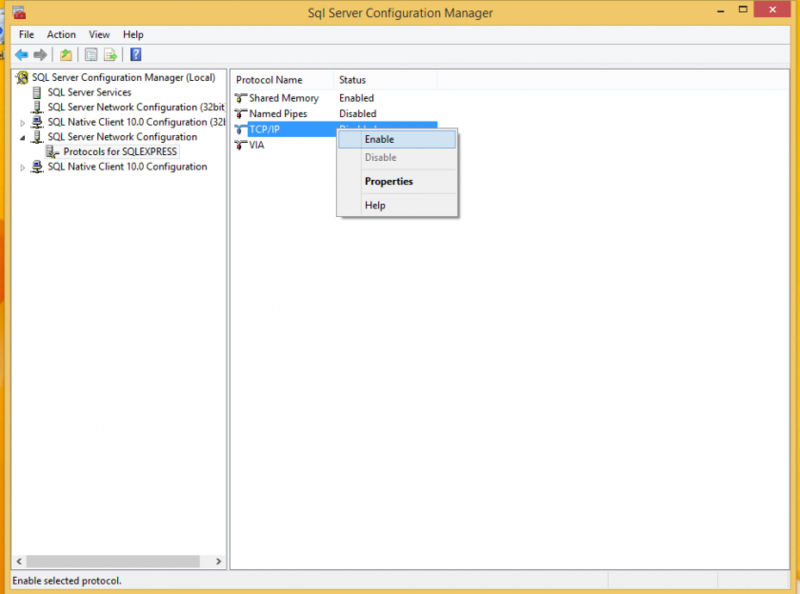 STEP 3: Double Click the SQL Server Network Configuration. 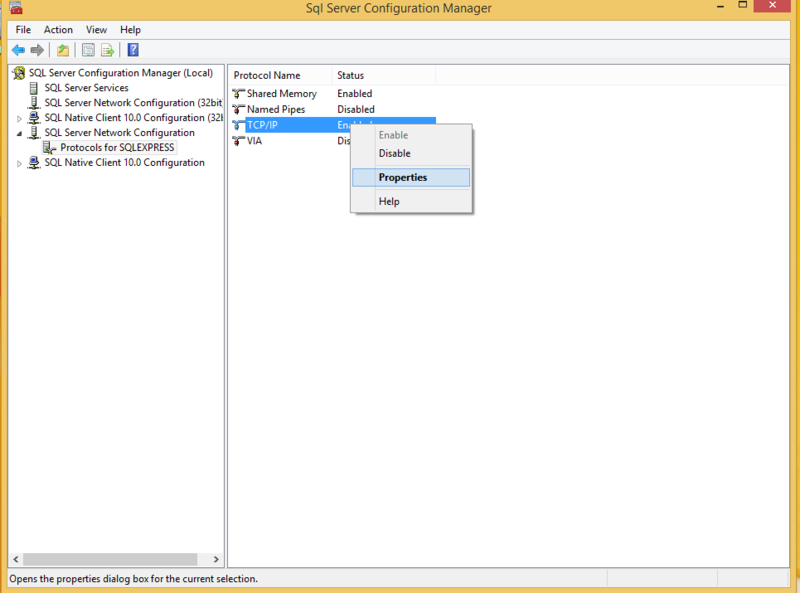 STEP 4: Double Click the Protocols for SQLEXPRESS. 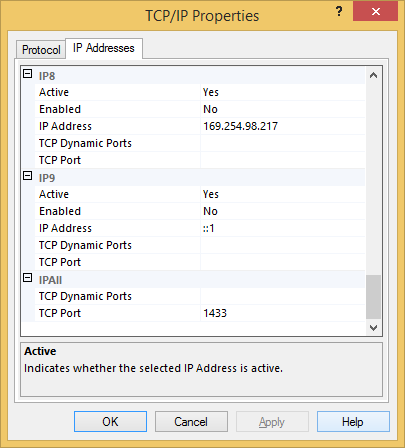 STEP 5: Right Click the TCP/IP and then Enable that TCP/IP. 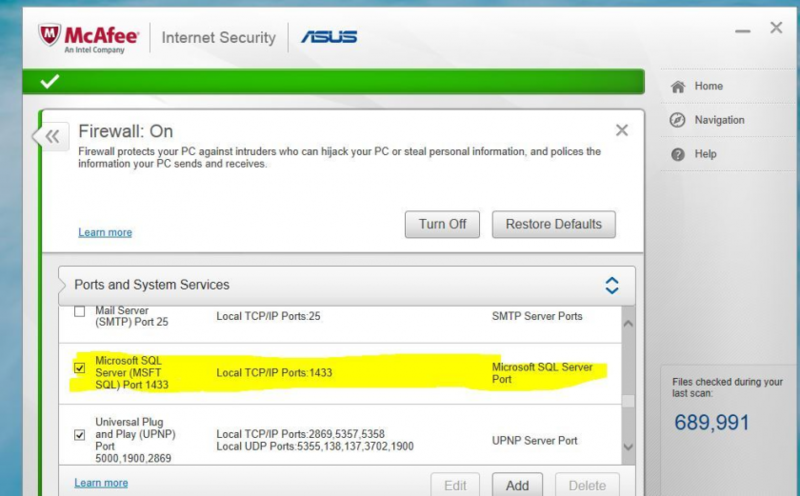 STEP 6: Right Click the TCP/IP and Click Properties. 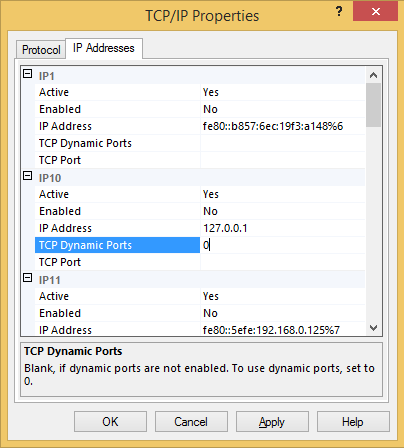 STEP 7: Go to IP Addresses and Remove all the 0's in the TCP Dynamic Ports. STEP 9: Click the SQL Server Services in SQL Server Configuration Manager (Local). 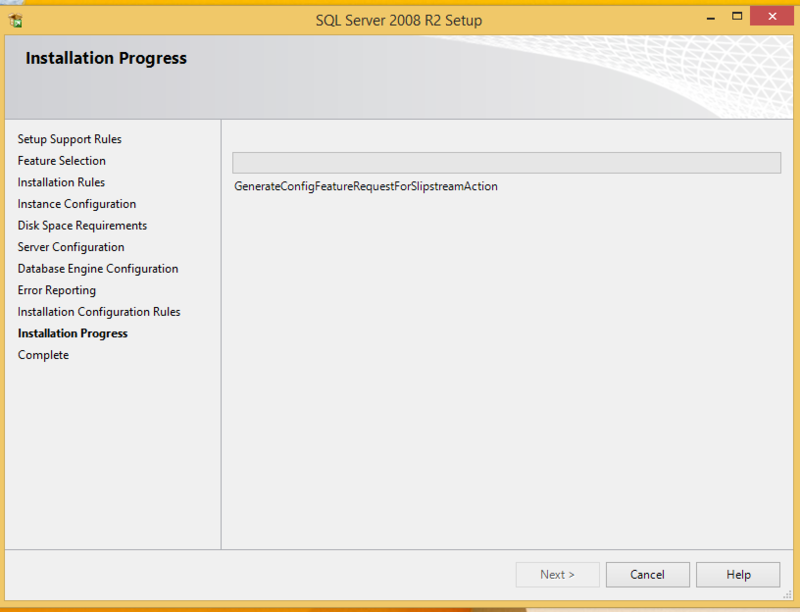 STEP 10: Right Click the SQL Server (SQLE...) and Click 'Restart'. STEP 11: After Restarted. 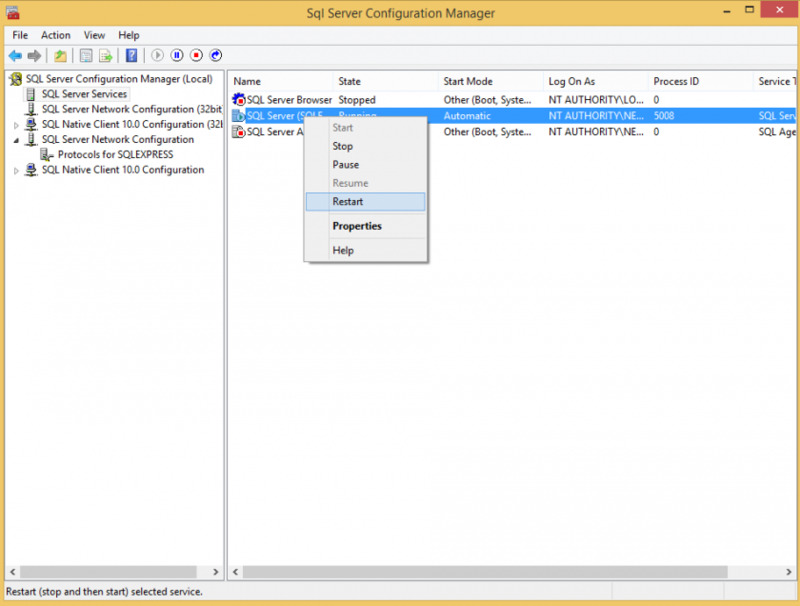 Close the SQL Server Configuration Manager. 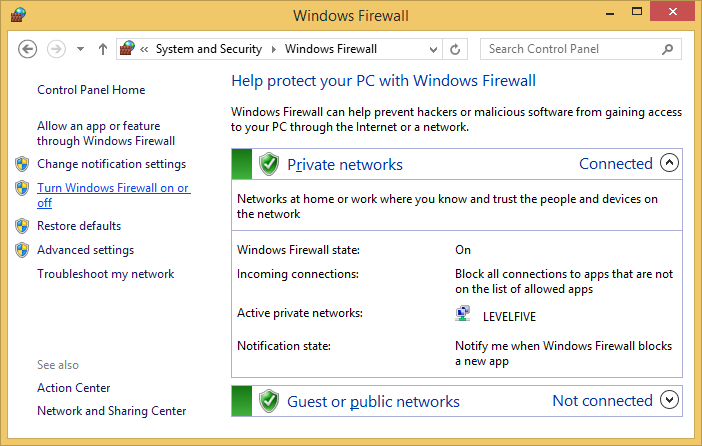 Add the Port to the Windows Firewall exceptions list or Inbound and Outbound Rules. 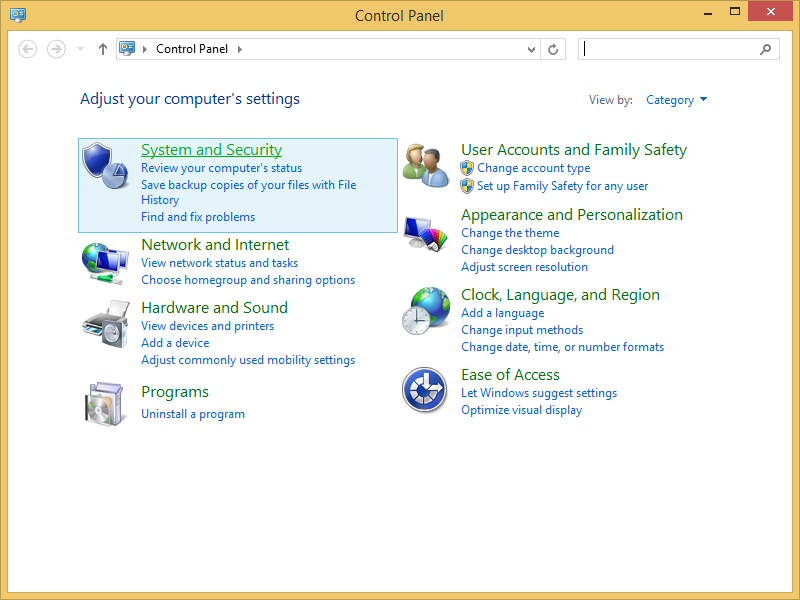 The Windows Firewall can be accessed through the Windows Control Panel. Note: You may need to restart your machine before the firewall settings take effect. 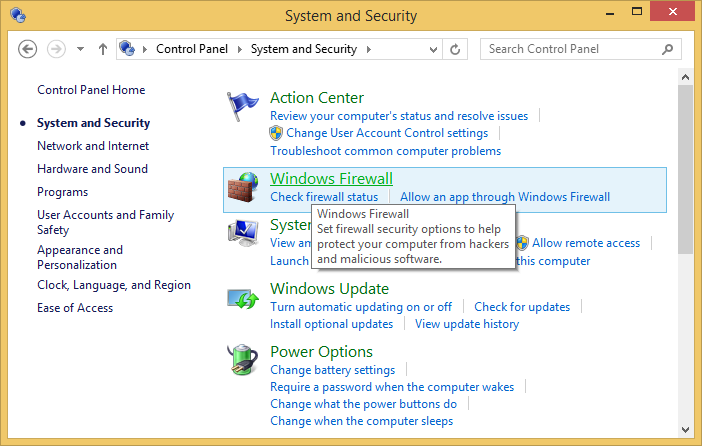 STEP 2: Click the Turn Windows Firewall on or off in the left side. 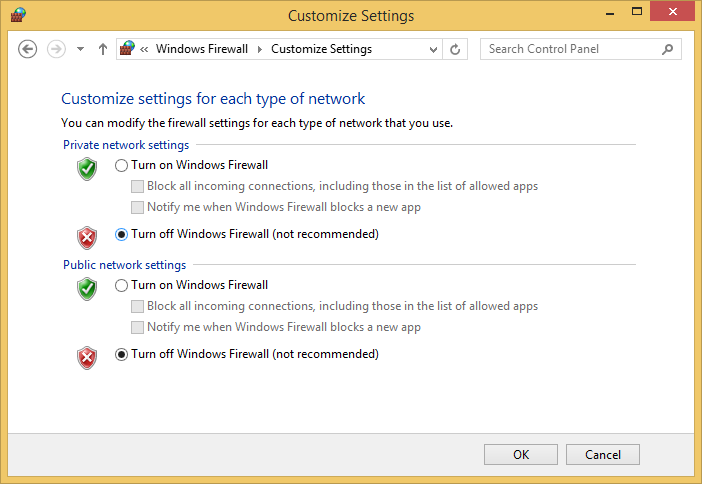 STEP 3: 'Turn Off' the Windows Firewall and click 'OK'. Under the same Tool above. 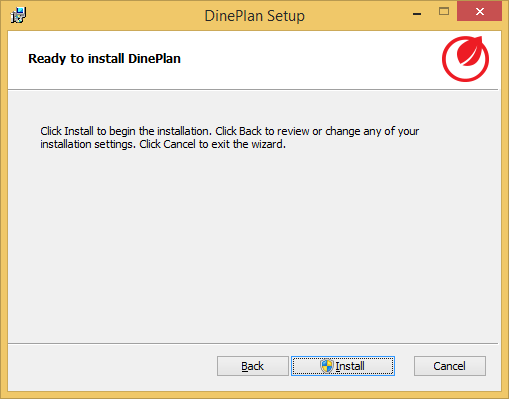 Make sure the TCPIP service is running for the DinePlan database. This is mainly for the Outlet which has more than one terminal. For this, we need to have a SQL MANAGEMENT STUDIO to be installed.